1 What is Image ALT Tag? 1.1.2 1. The first thing you need to do is to go to Blogger dashboard > posts > and click on new post. Alternative (Alt) Tag is an image Optimization On-Page SEO technique for Search Engine Optimization & Google image search, used to rank high in Google image search results. Alt tag plays a significant role in SEO and Google image searches. Unlike WordPress, in Blogger you have to add alt tags manually to optimize your images for search results. The most common problem, many bloggers fails to do is to optimize their blog images before publishing their articles. Having proper titles and alt tags to your Blogger images will not only help your visitors to recognize the image, but it also will help search engine bots to understand, what the image is all about, so that they can show it on Google Image search results. To make your blog post more interesting, at least use 2 images in each of your blog post, so that they could get the most relevant information. “Alt tag is an attribution that helps search engine bots to understand all about your image so that they could show it on images search results”. If an image is not displayed, the alt attribute provides alternative information for an image if a user for some reason cannot view it (because of slow connection, test mode only, an error). In short, “Alternative name and tag provides an ability to understand the image in a better way”. • The text should describe the image if the image contains information. • For both image title and alt tags do not add more than 10 words. 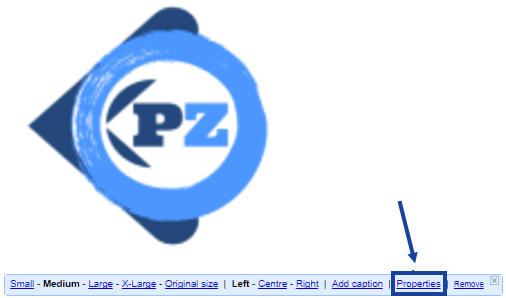 • It is a right place to add meta keywords, so consider adding your focus keywords in all your image alt tags. • Compress all your images before you upload it to Blogspot. • Do not use stop words like a, an, is, the and special characters like @, $, ^, &, !, *, # in your alt tags. • Always have an introduction image in each of your blog posts just like you see it here. • Consider adding different title text and ALT text. 1. The first thing you need to do is to go to Blogger dashboard > posts > and click on new post. 2. Now upload an image on your post and click on the photo. 3. Now Click properties to add title and alt text. 4. Click OK, save changes and you’re done adding alternative title and tags for your images. In your Blogger blog post editor switch to HTML view and add just like the one below. <a href= “–“ is where the image is linking to, img alt is where you add your keyword, src is the image source URL and title is for image title. Now, click publish. You are all done! Alt tag can help you to drive more organic traffic to your blog, so that you can rank high in Google search engine result pages. 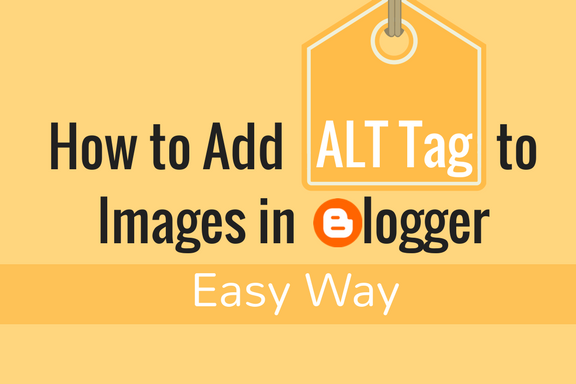 At last, hope this post helped you on how to add alt tags to Blogspot images and also you have learned some image optimization tips. If you find this useful, share it on social media sites.